Next year, Cannock driving test centre will be moving to the former VOSA test station in Wolverhampton / Featherstone. This follows the merger of DSA and VOSA to form DVSA, and will help to keep test fees to a minimum by making sure we continue to provide services cost effectively. We expect the move to happen sometime between mid-January to mid-March. We’ll contact you again soon with more details, including when Cannock driving test centre will close and when testing from Wolverhampton / Featherstone test station will start. The waiting room at Wolverhampton / Featherstone test station will be refurbished and there are customer toilets. For the time being, please continue to book tests at Cannock driving test centre as normal. Please also continue to follow instructions on the appointment confirmation when attending tests. 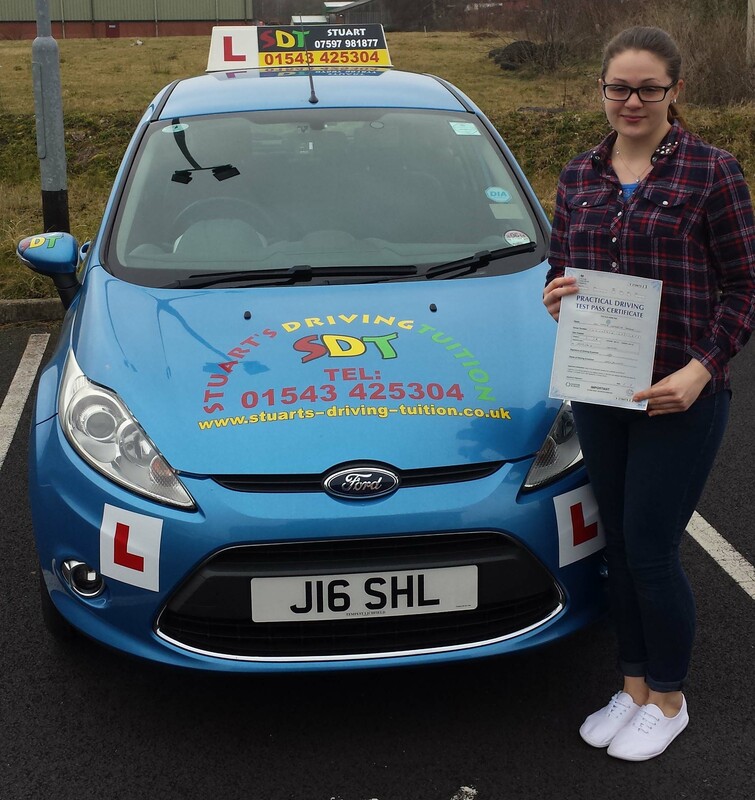 Congratulations Nikole on passing your driving test on Friday 28th February 2014. Nikole had weekly lessons with Stuart’s driving tuition and passed First Time well done Nikole another excellent drive and result. 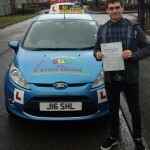 Congratulations to Jordan on passing his driving test. 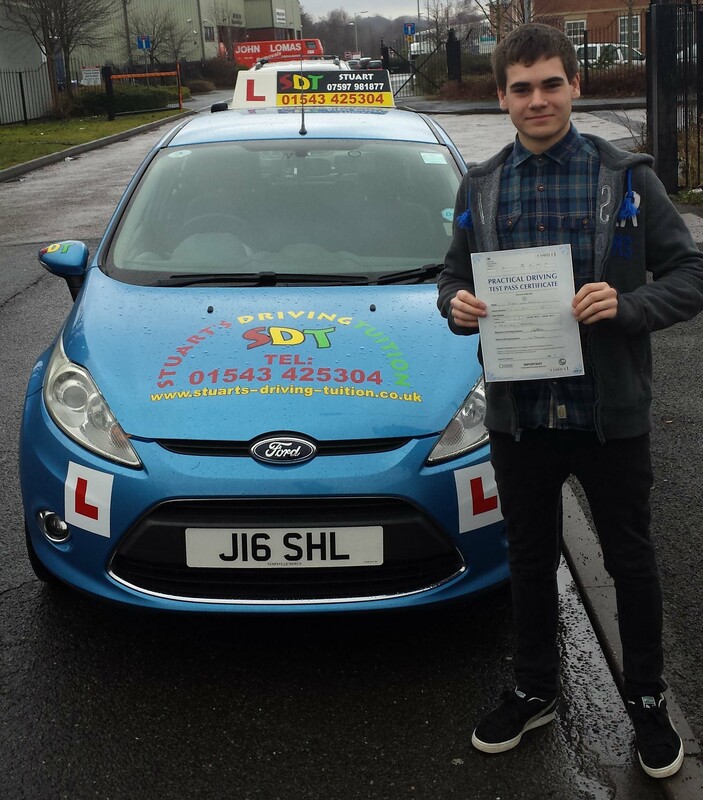 Jordan had a Intensive one week course and passed his driving test on 10th February 2014. Well done Jordan excellent Drive. Ryan Arnold from Rawnsley Cannock. 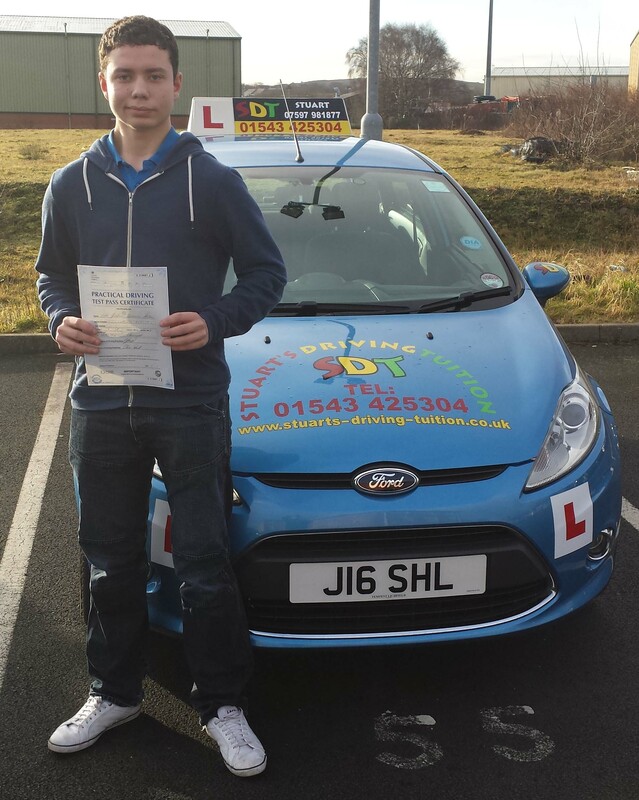 Congratulations Ryan on passing your driving test today (29th Jan 2014) Ryan had weekly lessons with Stuarts Driving Tuition and passed his driving test with only ONE minor driving fault. Another excellent drive well done Ryan. Congratulations Dominic on passing your driving test, Dominic had weekly lessons with Stuarts Driving Tuition and passed on 24th January 2014 with only 3 minors. Well done Dominic excellent drive.